While the other three gospels portray Jesus as the King, the Servant, and the Son of Man, John portrays Jesus as the Son of God. 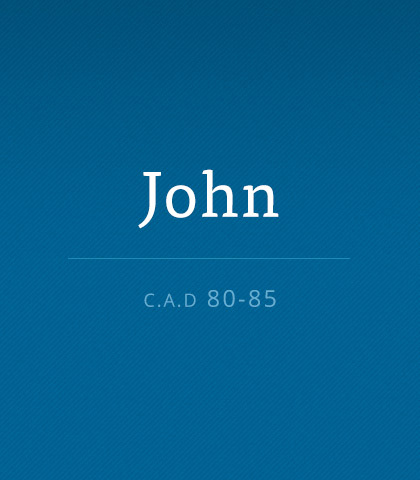 Read more about the book of John. Jesus’ triumphal entry into Jerusalem was revolutionary. He spoke of love and grace and His Kingdom of peace. We can’t help but be affected for the worse by the cultural atmosphere of our times. However, living in God’s spiritual kingdom can’t help but affect and shape us too—only for the better. We live in a death-denying culture. We don’t like to think about it, talk about it, or even plan on it. But Jesus did not have that option. The shadow of the cross stretched across each day of His life on earth. What if it was Your Last Week? If you knew it was your last week, how would you spend your time? This week, this day, could be your last. How are you investing your time? Jesus’ final week began with Mary anointing Him with costly perfume. He entered Jerusalem as the Messiah, riding on a donkey as throngs of His followers welcomed Him as their Prince of Peace. Responses to His teaching varied. Some clung to His side, but in the end, all fled. How should we respond to Jesus, our suffering Saviour?